When you get ready to trade your Prius in, you want to be able to get the most you can in resale value. Part of that value is determined by how much wear and tear has been done to the vehicle. 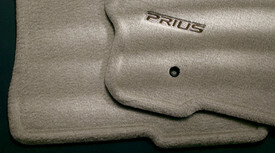 If you have a set of genuine OEM Toyota Prius floor mats, you might be able to get a little more for your trade-in because you kept the carpet protected. The carpet is subject to more than just dirt or mud from shoes and boots; high heels or heavy work boots can tear holes in it under the pedals if the floor is not protected. 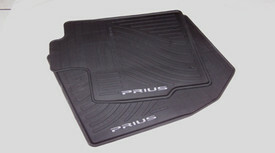 You want to get genuine OEM Toyota floor mats like the ones sold at Parts.OlatheToyota.com. Otherwise, you may get a floor mat that won’t hold up with use. 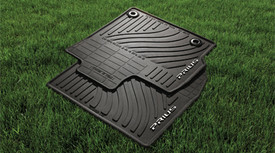 A genuine floor mat is made of quality materials that are made to last. We offer more than low prices on genuine OEM Toyota parts and accessories; we offer superior customer service from a highly trained staff who will answer any questions you might have about Prius parts. Buy a new set of floor mats today.